FEBRUARY IS THE MONTH of love and is there to help with a little SPA magic. With hypnotic aromas, indulgent ingredients and a lot of pampering, its romantic 90-minute treatment, called Love Spell, features the moisturizing benefits of rose petals. Guests also receive a gift – a delicately scented aromatherapy sachet that ensures the memory lingers. The package begins with a cleansing “Floral Foot Ritual”, which utilizes neem tea and citrus salt combined with flower petals. This is followed with a half-hour “body therapy” treatment, which can be either a “rose petal & orange blossom body exfoliating scrub”, made with brown sugar, cloves, rose petals, orange, coconut, yogurt and milk, or a session basking in the spa’s aromatic “Romantic Bubble Bath”, which contains the mingled essences of fresh orange and roses. The gentle acids in fruits work are used to exfoliate the top layer of skin. These are contained in many kinds of locally available fruits, including papaya, pineapple, strawberries, grapes and of course oranges, all of which also contain vitamin A, B, C and E.
Using a blend of Vanilla Shea Butter and Base oil, the “Aromatic Body Massage” can help to sooth sore muscles while the Vitamins A & E assist in hydrating skin. To finish, guests are offered a “Rose Garden Tea”, made from rosebuds, rosehips and herbs that contain antioxidants, which are believed by some to boost the immune system and promote healthy skin. “Guests will love the uplifting aromas in this romantic spa escape. We’ve combined specific oil blends to inspire harmony and indulgence, and perfect as our February feature – the month of love”, says Tara Hanrahan, group director of spa operation for SPA Cenvaree at Central Hospitality International (CHi). There is also a take-home aromatherapy sachet filled with the uplifting scents of rose and black pepper. This promotion lasts throughout February 2016. For more information, visit SPA Cenvaree’s website or call +66 (0) 2 769 1234. 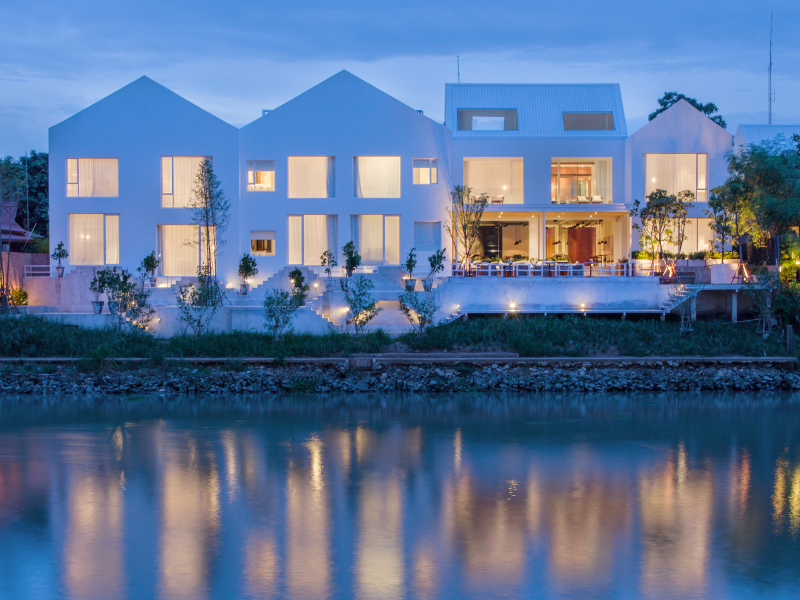 THE DHARA DHEVI CHIANG MAI is pitching itself as an enchanting romantic getaway, where romance is in the air more than ever in the month of love during the month of February, and as an intimate escape for a special someone for two this St. Valentine’s Day. A complimentary upgrade to Grand Deluxe Villa with Pool upon arrival, based on the availability; daily breakfast at Akaligo restaurant for two; romantic candle light dinner at Farang Ses restaurant for two, which includes two glasses of sparkling wine on St. Valentine’s Day on the 14th; and round trip airport transfer to and from Chiang Mai International Airport. Advance reservation is required and booking must be made directly with the hotel as well as a minimum stay of three nights is required. Booking is subject to availability. As one of Asia’s premier luxury destinations, The Dhara Dhevi Chiang Mai is known for its exceptional design, invoking an ancient Lanna kingdom and outstanding service, making it a perfect place for romantic holidays and luxurious experiences. THIS MONTH’S RECIPE comes from Absolute Sanctuary, which specializes in wellness and wellness treatments on Koh Samui. Every bite of this hot curry is packed with nutritional goodness sealing its status in a super food menu. Heat a non-stick pan over medium heat. Pan-fry the salmon cubes (without oil) for about 2 minutes on each side or until just cooked. Set aside. In a large pan heat the rice bran oil and fry the curry paste in it for a minute or until fragrant. Stir in the cayenne chili pepper, coconut milk, soy milk, and sugar, mixing well. Add the eggplant, mushroom and sauté for 2-3 minutes. Add the salmon, quinoa and jasberry rice, stirring well to evenly coat all the ingredients with the curry sauce. Cook until the eggplant is soft. Turn off the heat and stir in the Thai basil. Whisk all the ingredients until thoroughly combined. Firmly pack risotto in a bowl and unmold it on a dinner plate. Arrange the egg slices and Japanese cucumber in a ring around the risotto mound. Place the sauce in a small dipping bowl and serve it on one side of the plate. From the left: Tom Thrussell , v-p of brand, marketing & digital; Suparat Chirathivat, v-p of business development; Thirayuth Chirathivat, CHi’s CEO; Suthikiati Chirathivat, chairman; Supatra Chirathivat, senior v-p of corporate affairs & social responsibilities; Chris Bailey, COO; and Robert Maurer Loeffler, group director operations, Bangkok & City Hotels of Chi. CENTARA HOTELS & RESORTS will be renamed Central Hospitality International (CHi) this month– renaming the management and holding company behind its collection of hotels. The hotel brands, products and services will remain unchanged. The introduction of CHi serves to differentiate the corporate brand and its member hotel brands, as well as to align the hotel group with the other eponymously named Central Group companies creating greater affiliation and synergy within the Central family. “Our objective is to strategically grow the business and build international brand awareness and recognition through acquiring and managing hotels in global cities and resorts. “These locations will be carefully identified according not only to the global travel profile of our existing and prospective guests but also in recognition of those destinations which embrace and value the elements of Thai service style that will continue to form part of the DNA of our brands” said Thirayuth Chirathivat, CEO of Central Hospitality International. In 2016, the continued international expansion of the hotel group will see the introduction of additional hotel brands to the Central Hospitality International family. Today, the group includes Centara Grand Hotels & Resorts, Centara Hotels & Resorts, Centara Residences & Suites, Centara Boutique Collection, Centra Hotels & Resorts and COSI Hotels. Central Hospitality International (CHi) is the new corporate name for the formerly known Centara Hotels & Resorts. CHi is a global hospitality group, founded and headquartered in Thailand, comprising hotels, resorts, convention centres and spas. CHi currently has 66 properties in its expanding portfolio of owned and managed assets throughout Thailand, and in the Maldives, Bali, Vietnam and Sri Lanka along with projects underway in Qatar, Laos, Oman, Turkey and China. The CHi family of brands currently includes Centara Grand Hotels & Resorts, Centara Hotels & Resorts, Centara Residences & Suites, Centara Boutique Collection, Centra Hotels & Resorts and COSI Hotels, spa brands SPA Cenvaree and Cense by SPA Cenvaree, and guest loyalty program CentaraThe1Card. CHi is part of the larger Central Group of companies, which comprises 9 business groups: Central Department Store Group (CDG), Central Food Retail Group (CFG), Central Hardlines Group (CHG), Central Online (COL), Central Pattana Group (CPN), Central Marketing Group (CMG), Central Restaurants Group (CRG) and Central Group (VIETNAM). A NEW STAR is ready to shine fresh light on the banks of Bangkok’s picturesque Chao Phraya River with the opening of AVANI Riverside Bangkok Hotel in April 2016. Rising 26-storeys, AVANI Riverside Bangkok overlooks the city’s bustling waterway and will boast uninterrupted views across Asia’s most dynamic city. Each of its 251 guest rooms and suites will feature an uninterrupted view of the river and city. On the hotel’s rooftop sits Attitude Bar and Restaurant, offering views of unmatched panoramas over the city, as well as a designer infinity pool for a very chilled perch to tower above the energy of capital. Attitude, which has been designed for parties, private events or sunset drinks, is just one of the four bars and restaurants at AVANI Riverside Bangkok. Long Bar and Skyline dish up an impressive choice of plates, while the casual Pantry offers up grab-and-go delights in the lobby. Avani’s lobby is digitized, with computer connections and open meeting spaces, that help make check in a breeze. The hotel also raises the bar with its modern Grand Ballroom, a flexible space of nearly 4,500 square metres, perfect for any event accommodating up to 1,500 people. Its design will ensure that weddings, product launches, corporate events and conferences all go off without a hitch. The ballroom also has its own open-plan kitchen. The highest ballroom ceilings in Bangkok vault overhead, while its skylights flood the venue with natural light. Situated on the 10th floor, the venue showcases the same stunning views found throughout the hotel. AVANI Riverside’s complimentary shuttle boat reaches the BTS Skytrain station and pier at Saphan Taksin in only 15 minutes. However, with 60 world-renowned retail brands, restaurants, bars, spas and entertainment outlets at the adjoining Riverside Plaza, guests will have everything at their fingertips, without venturing into the city’s excitement.